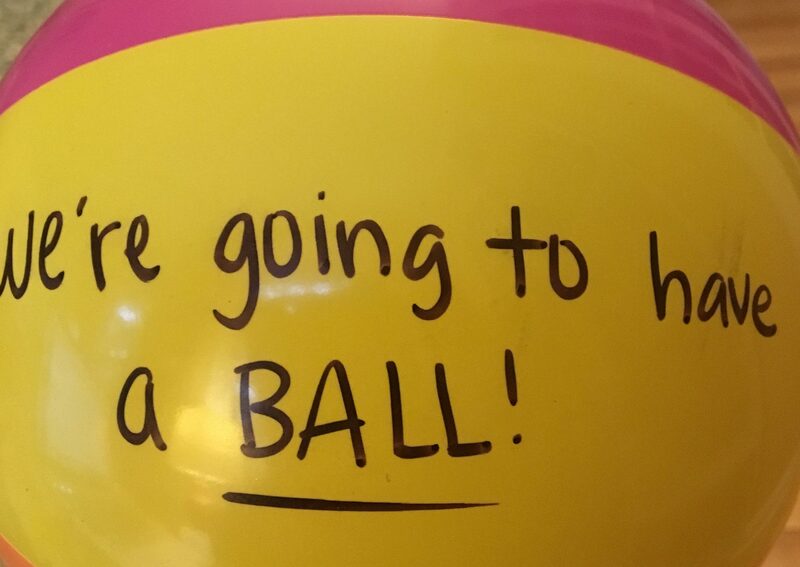 I got a beach ball in the mail the other day. 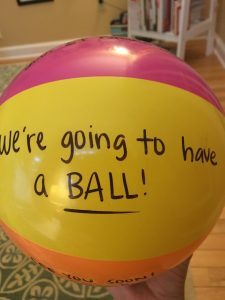 A fully inflated beach ball. I didn’t even know you could do that! 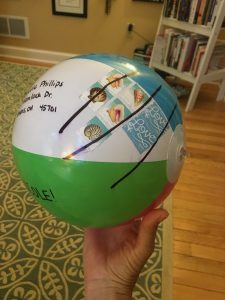 I can only imagine what my mail carrier and every other post office employee must have been thinking as they sorted letters, packages and my beach ball. I’m heading to the “Dream Big” conference next week in San Diego and in preparation, I’ve been spending a lot of time in my head wondering what my big dream might be. The thing is, it’s hard to dream big when you only know what you know. You know? Let me explain. I might think it would be awesome to write a book that could be distributed for free to every woman in the country who is diagnosed with breast cancer. That would be a big dream. But my inability to understand the details of how to make that happen would put the brakes on that big dream in a hurry. I would think, Can I do that? and my narrow thinking brain would immediately answer “No” simply because I’ve never seen it done. Do you have a big dream? I know, it’s hard in the middle of groceries and laundry and real jobs to think about what we might do if given the chance. Maybe you want to go back to school. Or open a flower shop. Or adopt a child. You might ask yourself, Can I do that? only to have the negative voices in your head and the fatigue in your body scream No. I get it. I felt that way too until I discovered one little word that makes all the difference. Instead of asking Can I do that?, we can use the power of “how” to ask How can I do that? Where there’s a will, there’s a way. We can do big things. I challenge you today to spend a little time in your head and think about what your big dream might be. If you’ve already got one, then grab onto the power of how, share your big dream with a friend and let’s see what happens.